I love it when I come across handy products that I can use to help improve my screencasts. Audacity is the latest tool I’m happy to recommend. Audacity is a free, open-source audio editor and recording tool. 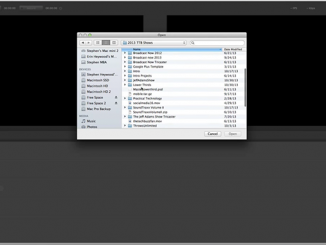 The program allows you to record and import audio files – and edit them. It is simple to use for basic things and can be as complex as you want it to be. It includes a host of basic effects such as reverb, delay, and bass boost as well as some nifty analysis features such as the Beat Finder, and the Silence Finder, which identify those particular characteristics of your audio. I found the Noise Removal feature to be quite handy. 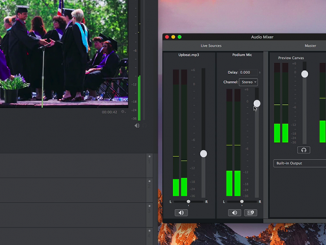 In fact, I recently came across a very interesting blog post and video by Mel Aclaro entitled “How to Remove Background Noise From Your Screencast Audio,” which has great step-by-step instructions for using Audacity to, well, remove the background noise from your audio. (I guess the title was pretty self-explanatory.) I highly recommend you check out his post. Once you’ve edited or made your audio effects in Audacity, you can simply export your project and bring it into ScreenFlow. From Audacity, you have several export options. I usually choose “uncompressed” unless I need a smaller file for some reason. But I like to start with my ScreenFlow audio as close to original as possible. If you are planning to record your own music, GarageBand is a great option for that, with its looping features and instruments. But if you are just working with voicefiles or pre-recorded music tracks, Audacity will do the job nicely. And since Audacity is free, why not download it and try it out? 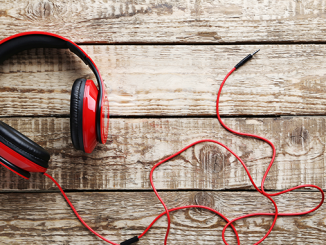 Audio is always a hot topic for screencasters. Here are some of the other audio-related posts we’ve had recently. Hmmm… I used to use Audacity when I was “stuck” on my PC, but since then I have discovered GarageBand and find it quite superior. Nothing wrong with Audacity I suppose, but for Mac users the GB interface and wave images are so much easier to work with, that I find this a surprising recommendation from Telestream. Honestly, I cannot think of a single feature that Audacity has, that is better or easier to use than Garage Band. And I have used BOTH programs hundreds, if not thousands of times. Garage Band also has a feature for Podcast recording as well, and can be “tuned” to male or female voice. You can also add reverb and echos as well as thousands of effects. (However the effects I usually arrange/edit right in screenflow.) The export features too allow for greater control over you output. I also find the editing process in Garage Band much more user friendly. One more thing – You mentioned Audacity is FREE, but so too is Garage Band and it is included on your Mac! HI Marty, thanks for your input. Audacity is just another good option, and I like having options 🙂 And for those who also use PC, Audacity is available for PC, and some may like having the same interface/program for all operating systems. That being said, I agree with you that GarageBand is really easy to use, has some great features, AND it’s also free. Garageband is part of the iLife suite, and available as a standalone for $16 on Apple’s app store. I use ScreenFlow on a regular basis for my hockey drills blog at http://weisstechhockey.com/blog (a lot of my readers are blown away when they see me diagramming hockey drills while explaining them). I’ve used ScreenFlow, combined with various other programs to create different, useful effects for my video projects. Every time I use ScreenFlow, I seem to get really good feedback from my viewers!! THANKS A BUNCH FOR A PHENOMENAL PRODUCT!! Thank you for mentioning my post. I’m with you. The ease of Audacity makes it such a useful utility to keep our tool chest. And, with it being free as well being a cross-platform software, it has been a great piece of software that I’m happy to help others use regardless of whether they’re on a PC or a Mac.